Julian Paul Assange (born Julian Paul Hawkins; 3 July 1971) is an Australian journalist, computer programmer, and the founder and director of WikiLeaks. Assange describes himself as an advocate of information transparency and market libertarianism. Assange founded WikiLeaks in 2006, an international publishing organisation known for revealing war crimes, human rights abuses, and corruption. 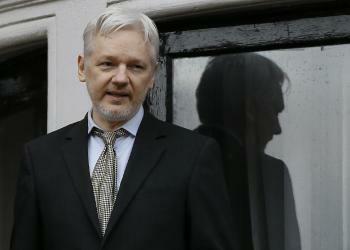 The latest discussion and trending news about WikiLeaks founder Julian Assange. By Oscar Grenfell 24 April 2019 WikiLeaks publisher Julian Assange has spent most of the past two weeks in isolation at Belmarsh prison said Christine Assange, his mother, on Monday. Assange had “still not been able to receive any visits. Not even from his lawyers!” Mrs. Assange said on Twitter on April 22. She added that his treatment had been “outrageous, & appears punitive to continue to keep him isolated.” Mrs. Assange noted that Belmarsh has been dubbed “the UK's Guantanamo,” after the US military prison notorious for indefinite detention, torture, protracted isolation and other violations of human rights. It is where most British individuals charged with terrorism offences have been imprisoned. 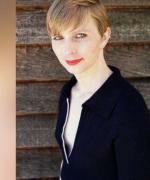 A federal appeals court on Monday rejected a bid by former Army intelligence analyst Chelsea Manning to be released from jail for refusing to testify to a grand jury investigating Wikileaks. The three-paragraph, unanimous decision from a three-judge panel of the 4th U.S. Circuit Court of Appeals in Richmond rejects both Manning's argument that she was erroneously found in civil contempt of court and her request for bail while the contempt decision is litigated. To sympathizers and celebrity boosters, WikiLeaks founder Julian Assange, whose extended furlough inside the Ecuadoran embassy in London ended in handcuffs this month, is a legend and a maligned whistleblower. For the last six years and 10 months, Ecuadoran embassy officials claimed they put up with the Australian hacktivist's tantrums, skateboarding and scatological eccentricities, garnished with cyber-sabotage. While ending Assange's asylum may have bought Moreno goodwill with the United Kingdom, which is weighing a post-Brexit trade deal with Ecuador, and the U.S., where Assange is wanted for conspiracy to commit computer crimes, it's hardly a free pass for the embattled Andean reformer.